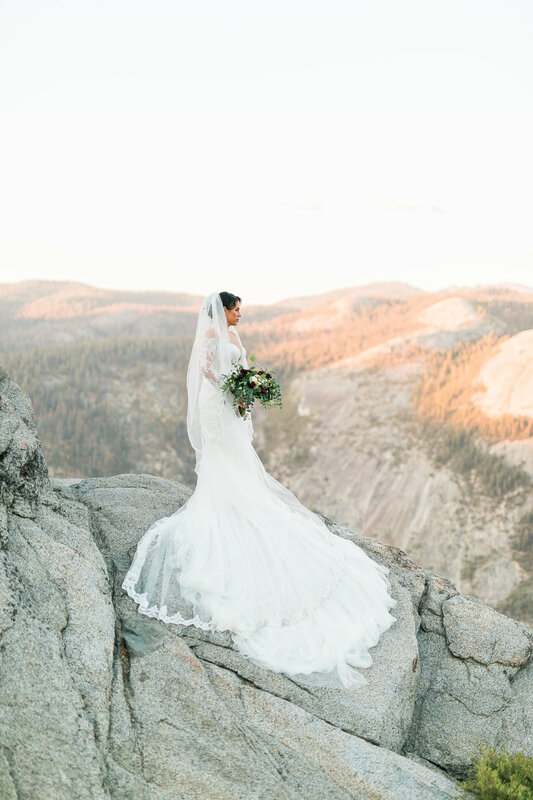 We loved capturing these breathtaking portraits in scenic Yosemite. 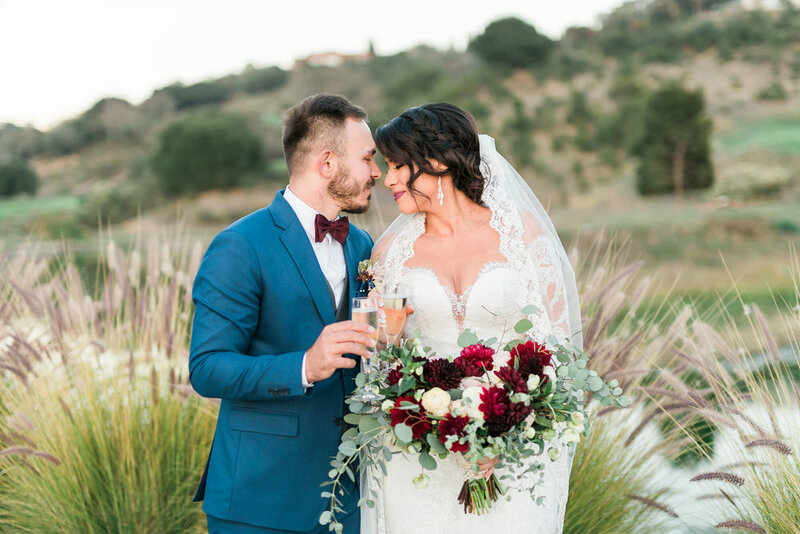 Aleks and Cecilia loved the area so much that they traveled all the way from Florida for their wedding photo session. 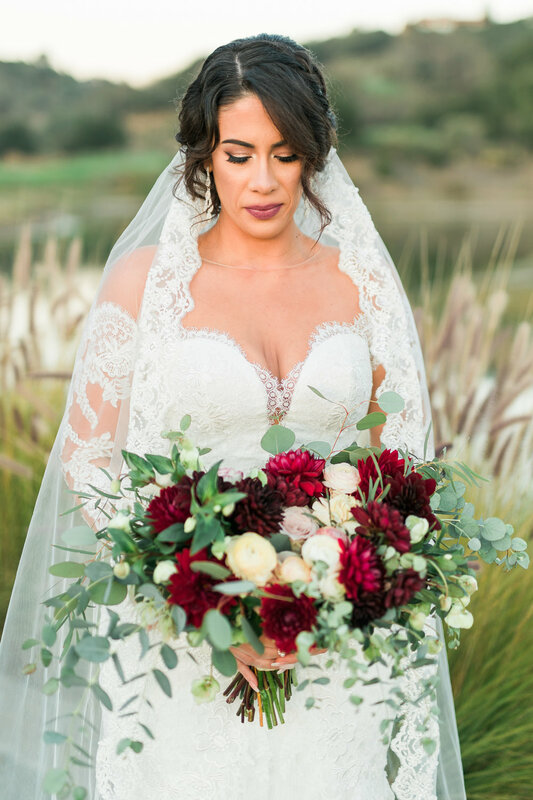 We captured their wedding at the StoneTree Golf Club in Novato, CA (a Wedgewood Weddings property) and took these amazing wedding portraits in Yosemite the next day, surrounded by the natural wonders within the park. Aleks and Cecilia were a pleasure to photograph. An energetic, fun-loving couple, they were full of laughter and joy that shined through in their pictures, despite the chilly November temperatures. 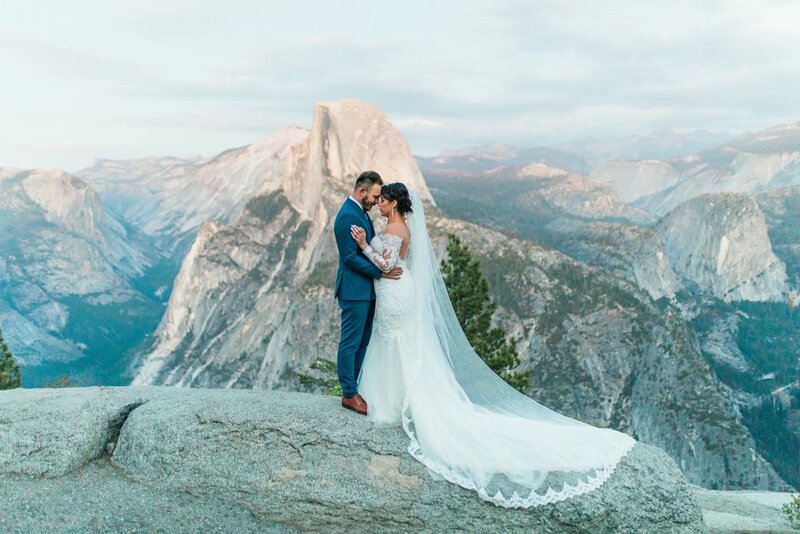 With its sprawling natural landscape, Glacier Point (pictured) is a popular site for wedding and engagement photos. Majestic Half Dome is another favorite spot. We really enjoyed using its natural light and shadow to create Aleks and Cecilia’s captivating outdoor wedding portraits. The sweeping views of El Capitan attract couples from all over the world to Yosemite to get married. The area is also home to Yosemite Falls, one of the world’s tallest waterfalls. Yosemite’s diverse sites are full of romantic photo ops. Its historic chapels, ranches, and outdoor views offer grandness and diversity. If you want to get married in this iconic national park, obtaining permits is a simple process. 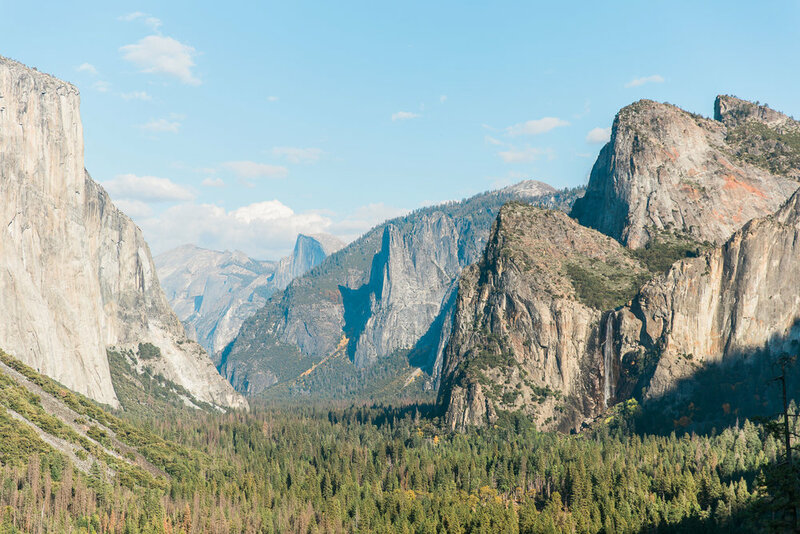 Yosemite is perfect for couples with a sense of adventure and a love of nature. If you’re interested in having Yosemite wedding photos captured, check out the images below for inspiration and reach out to schedule your session! 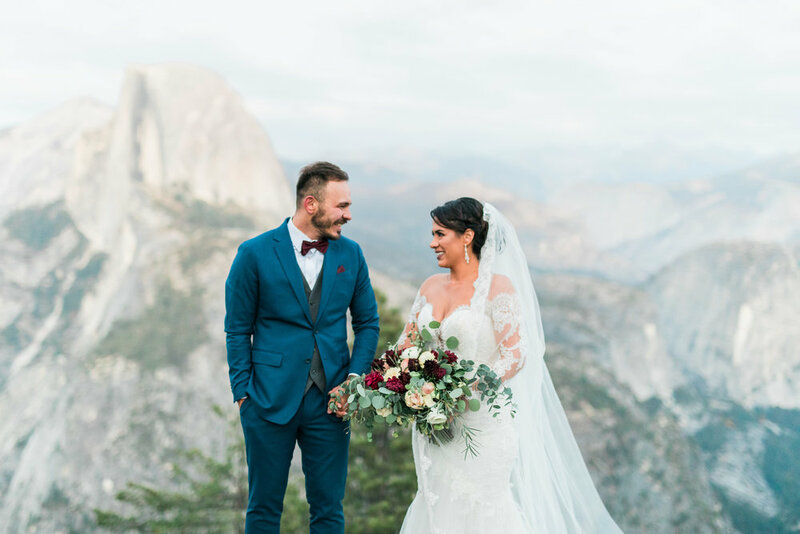 We would absolutely love to be your Yosemite wedding photographers, be sure to notice our behind-the-scenes photos below!